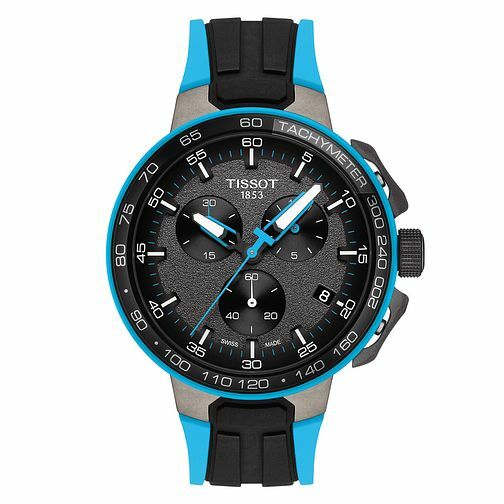 Stylish and functional, the Tissot T-Race Cycling has a fitting aerodynamic and ergonomic design. The large hands make time precise and easy to read. The sporty dial boasts three counters on a black tar effect background, illustrating the roads. Details of the bicycles, such as the fork in the frame, are reflected in the bracelet and lugs, while the outside of the dial and the tachymeter bezel represent the wheel, that is set on a carbon ring.